I love my kids' creativity. 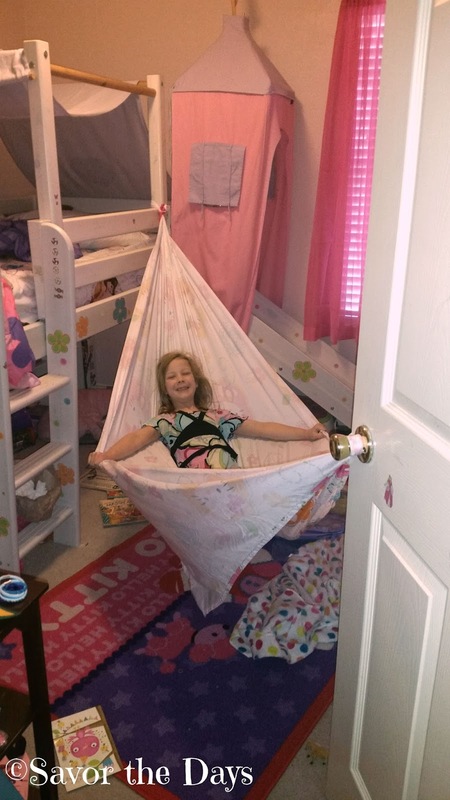 Rachel wanted a hammock in her room so she tied one end of a sheet to her bed and the other to her door knob. It's a perfect fit...well, unless she needs to close the door. Although she may need to tweak her design a bit, I love her ingenuity and resourcefulness.